1. Emulating nature is key to growing great crops, building healthier soils and cutting production costs. Ray Archuleta, NRCS Conservation Agronomist, led a lecture series titled “How Well Do You Know Your Strip-Till Soils?” He promotes understanding how biology works and changing farming practices to emulate nature. If you do tillage, Archuleta recommends using cover crops, which he refers to as “nature’s armor.” He also notes that that having a “residue” problem is really a soil biology problem. Residue feeds earthworms and earthworms build soil health. Archuleta’s nickname is ‘Ray the Soils Guy’. Follow him on Twitter @raythesoilguy1. 2. 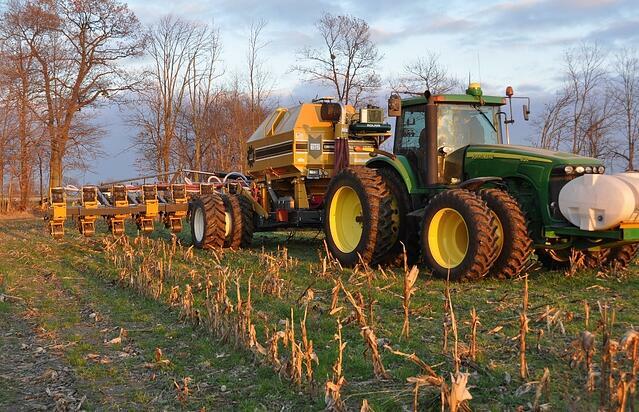 Strip-till and variable rate fertilizer boost soybean yields. Ryan Groholske, Michigan farmer and SoilWarrior owner, spoke about “Increasing the Yieldability of Strip-Tilled Soybeans” in a classroom session at NSTC. Groholske’s farms in sandy and loam soils with 1.7% organic matter. The SoilWarrior with rolling coulters works well for Groholske; it rolls over rocks rather than pulling them to the surface. He grows soybeans that reach 100 bushels per acre by using strip-tillage with variable rate fertilizer. Since switching to strip-till, he has seen corn yields increase on his marginal ground by up to 50 bushels per acre. Groholske uses K-Mag® by Mosaic, a fertilizer blend including potash, magnesium and sulfur. Learn more about Ryan’s experience with strip-tillage over at StripTillFarmer.com. 3. Use tools to help manage data and track your ROI per acre. Illinois farmer Trent Sanderson encouraged NSTC participants to calculate the ROI on every acre using different types of technology. He uses agriculture technologies such as Ag Leader® SMS™ software, Climate FieldView™ Pro, and Farmers Business Network℠ to track field by field results; then he shares field results and soil maps with his landlords. Sanderson uses strip-tillage, RTK and cover crops. He suggests tissue sampling to ensure nutrients are being used efficiently. 4. Be proactive – lead the nutrient stewardship effort. David Myerholtz, a strip-till farmer from Ohio, believes farmers should be leaders when it comes to nutrient stewardship. One way farmers can lead the effort is with strip-tillage. Myerholtz and his family are 4R Certified. They started strip-tilling in 2008, and their practices evolved from deep banding to variable rate fertilizer in 2014. According to Myerholtz, the three things that are key to reducing runoff are: subsurface application of fertilizer, cover crops, and buffer strips. ETS is a proud supporter of 4R Nutrient Stewardship Certification. Learn more here: http://4rcertified.org/. Join ETS at the 2017 National Strip-Till Conference, August 3-4, 2017 in Omaha, NE.